I had just crossed the Shibuya Crossing in Tokyo, Japan, perhaps the busiest pedestrian intersection in the world where thousands of visitors come to see its magic every day. As my mother and I walked from out hotel in Tokyo to Shibuya, I asked myself, what draws so many people from all walks of life to go through such a mundane experience? Upon arrival at the crossing, the shift from everyday city life to the nightlife experience of Shibuya was something that I could feel instantly, and I wanted to explore as much of it as I could before the jet lag set in. I neared the crossing, and already I could see the hordes of people gathering closer to the street. I was suddenly overwhelmed by the presence of many others and I was so mesmerized that I did not even realize that I had crossed the street until I was already on the other side. It was only later, when I was sitting in a coffee shop above the crossing, and I had a birds-eye view of something that I had just been immersed in, that I understood the power that this crosswalk possessed. With the electric noises and flashing lights of the city no longer blaring in my face, I had a moment to collect my thoughts. I stared intently at the crosswalk, watching again and again as the cycle of crossing and waiting continued, wondering what about the experience had transfixed me. Finally, I saw a new layer to the two dimensional street: every person walks in their own unique direction in their own life, yet we all cross the same metaphorical street. No one walks some special street, for we are all fundamentally equal. More than that, I realized that despite our likeness to one another, all individuals possess diverse ways to think and feel. Our previous experiences and emotions affect our every move -- even the way that we cross a street. From above, it seemed as though all the people were completing the same action, but truly, every person was experiencing a moment in their own respective way. What were they really crossing? Was it just a crosswalk? 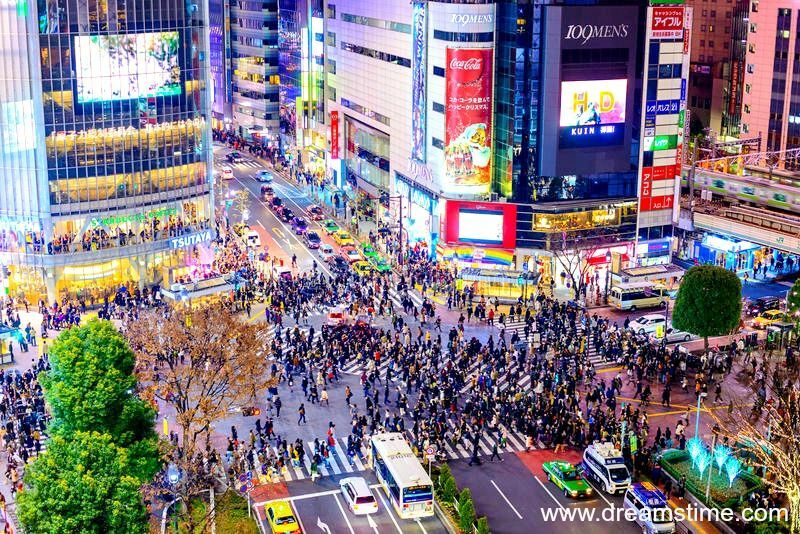 Had the Shibuya Crossing become an opportunity to be a part of a community? To feel a moment of euphoria? There are many crosswalks around the world, and this action of crossing and moving has become one that is thoughtless. However, this intersection of people can dramatically move us while moving those around us, and we can decide to take away whatever experience that we may wish from that. The shared perception of a minute moment in time re-introduces the concept of conscious action into our being. It can show us that small parts of our day can leave lasting impacts on those around us. We are the same yet different. Usually, we don’t stop to think about it - the significance of being an individual in a crowd - but perhaps we should dare to let our actions influence the citizens of our society.